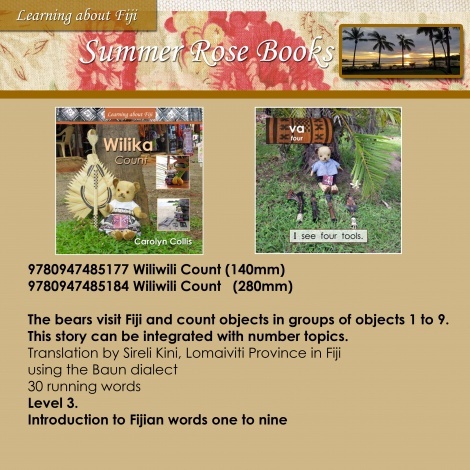 The bears visit Fiji and count objects in groups of objects 1 to 9. This story can be integrated with number topics. 30 running words level 3.